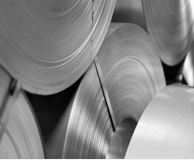 6061 is just one of many aluminum alloy varieties offered by aluminum suppliers. Aluminum, like many other metals, is often alloyed with other elements to enhance it in some way. Benefits of 6061 aluminum include good corrosion resistance and a high strength-to-weight ratio. It can be extruded into tubing, rods and pipes, and it can be used in the construction of aircraft, automobiles and furniture as well as an extensive variety of other industrial, commercial and consumer products. The automotive, aerospace, engineering, manufacturing and many other industries make extensive use of 6061 aluminum. Trucks and marine vessel manufacturing, pipeline construction, large structural component fabrication and tank construction can all involve the use of 6061 aluminum. It is easily machined, cut, stamped, bent, spun and drilled, making it ideal for the production of all kinds of products. 6061 aluminum is an alloy of aluminum and a combination of at least eight other elements in varying quantities. Some of these elements can include silicon, zinc, iron, copper and titanium. Silicon is the most important of these materials; 6061 aluminum is always made up of at least .4% silicon by weight. Slight variations in 6061 aluminum can impact the aluminum’s properties substantially. These variations are decided intentionally in advance of the alloying process; different 6061 compositions are used for different purposes. Once the composition is decided, the alloying process can begin. After the pure aluminum is alloyed with magnesium and silicone, the billets are shaped by cold working, which does not heat the metal at or past its recrystallization temperature. It can then be formed by any manner of processes; rolling, extruding and forging are just a few possibilities. After 6061 aluminum has been cold worked, it goes through various different heat treating processes, such as annealing, solution heat treatments and precipitation heat treatments. These improve the metal’s workability, stabilize its properties, improve its mechanical abilities and harden its surface. T61 is a popular heat treating method for 6061 aluminum. This process improves tensile strength and fatigue resistance. 6061 Aluminum 6061 aluminum is a common grade of alloyed aluminum. Magnesium and silicon are its primary constituent materials after aluminum. This general purpose metal is weldable, heat treatable and can be cold worked, annealed and extruded. It is usually supplied in billets rather than in cast form.